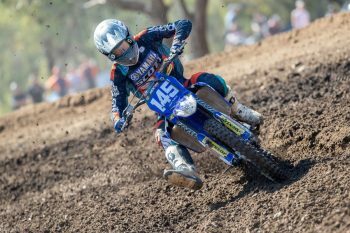 The WBR Yamaha Team of Max Purvis and Jack Kukas just need to iron out a few creases to drag themselves back into contention for the MXD (under19) championship at the MX Nationals. 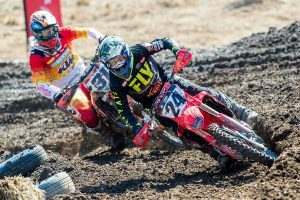 Small errors or lapses of concentration proved costly for both riders on the weekend and ultimately effected their final round result. But, both also displayed plenty of speed and as they mature, the results will flow freely. Both riders started off the day in good form. Purvis claimed P2 in qualifying, directly ahead of team mate Kukas in P3 and the foundations were set for a good day. Max Purvis finished the day in fourth place with his 1-6 results. The Kiwi slotted into second place in the opening moto before pouring the pressure on in the later stages of the race to move into the lead and break free for a five second win and the perfect start to the round. Unfortunately, his start to race two wasn’t as good and he completed the first lap in a lowly 12th place. He found it difficult to move forward on the technical Broadford circuit and could only claw his way to sixth place by race end and miss the podium for the round by two points. He now sits third in the championship, 17 points shy of the series leader. “Race one went exactly to plan and was an awesome way to start the day. I was able to see what the rider in front of me was doing, find an area to make a pass and then make it happen. I was able to make the pass, put in a couple of good laps and have a clear run to the finish line. “In the second race, my start was awful and I was right down the back. I pulled a few passes on the first lap to get around the top 10 but it just took me too long to get going and get through the field. 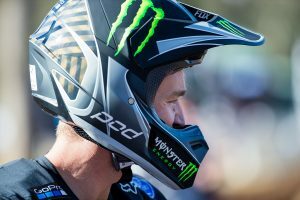 It’s disappointing not to make the podium, especially after winning the first race, but I will come back stronger at Murray Bridge and put together a full day’s racing,” Purvis said. Team mate, Jack Kukas, also endured his share of hardships and finished the day in sixth place but produced his best turn of speed for the season so far. Kukas was in third for the first half of moto one before making a mistake and losing a few spots. He then went down and lost another three positions before finishing in eighth place. And like Purvis, he suffered from an average start in race two, he slowly moved forward during the 11 lap affair to finish in fifth place and take sixth for the day. The consistent points haul now moves him to fifth in the championship after three rounds. “I guess I’m just angry at myself as I thought I belonged on the podium today,” Kukas states. “My speed in qualifying was good and I put myself in a good position in the first race only to let it slip. And I just didn’t get a good jump in race two and starts are usually a strong point of mine. Round three also had the Yamaha Rising Star Rookies for riders 13- 15 years of age on 250cc machines. It proved to be a great day for GYTR Yamaha Junior Racing with the top two spots going to Levi Rogers and Alex Larwood, respectively. 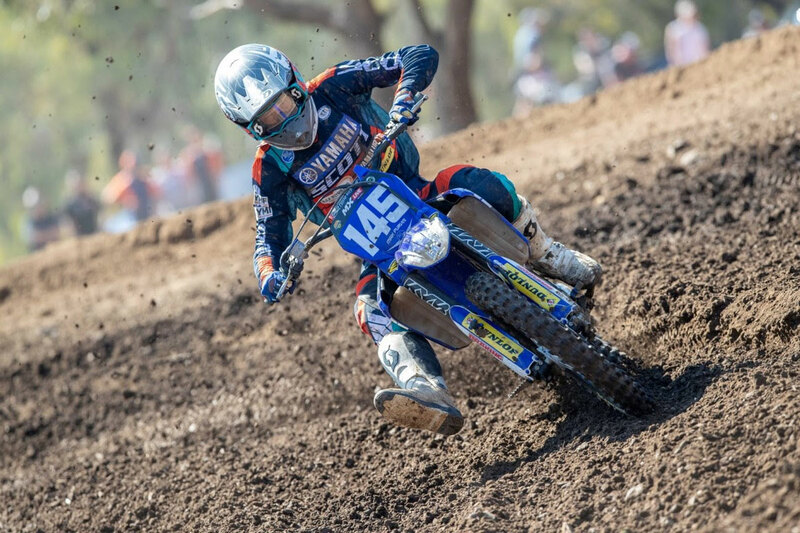 Rogers dominated the day with 1-1 results in the two motos contested while Larwood had to fight through the field in race one to secure seventh before finishing with a strong second place in the final moto.